· How we may use and disclose your PHI. · Your privacy rights in your PHI. The terms of this notice apply to all records containing your PHI that are created of retained by our practice. We reserve the right to revise or amend this Notice of Privacy Practices. Any revision or amendment to this notice will be effective for all of your records that our practice has created or maintained in the past, and for any of your records that we may create or maintain in the future. Our practice will post a copy of our current Notice in our offices in a visible location at all times, and you may request a copy of our most current Notice at any time. 1.Treatment. The information in your medical records will be used to determine which treatment option best addresses your health needs. The treatment selected will be documented in your medial records so that other health care professional can make informed decisions about your care. For example, we may ask you to have laboratory tests, and we may use the results to help us reach a diagnosis. Many of the people who work for our practice – including, but not limited to, our doctors and staff – may use or disclose your PHI in order to treat you or to assist others in your treatment. Additionally, we may disclose your PHI to others who may assist in your care, such as your spouse, children or parents. Finally, we may also disclose your PHI to other health care providers for purposes related to your treatment. 2. Payment. Our practice may use and disclose your PHI in order to but and collect payment for the services and items you may receive from us. For example, we may contact your health insurer to certify that you are eligible for benefits (and for what range of benefits), and we may provide your insurer with details regarding your treatment to determine if your insurer will cover, or pay for, your treatment. We also may use and disclose your PHI to obtain payment from third parties that may be responsible for such costs, such as family members. Also, we may use your PHI to bill you directly for services and items. We may disclose your PHI to other health care providers and entities to assist in their billing and collection efforts. 4. Appointments and Reminders. Our practice may use and disclose your PHI to contact you and remind you of an appointment or as a follow up on treatment. 5. Non-Medical Communications. Our practice may use your PHI to contact you for non-medical reasons. For example, we may send you a birthday card or a holiday greeting via mail. 6. Treatment Options. Our practice may use and disclose your PHI to inform you of potential treatment options or alternatives. We may treat you in an open treatment area and some incidental PHI may be overheard by other patients being treated at the same time. 7. Health-Related Benefits and Services. Our practice may use and disclose your PHI to inform you of health-related benefits or services that may be of interest to you. For example, we may send you newsletters that may include information about our practice, health related issues and products and services. 8. Release of Information to Family/Friends. Our practice may release your PHI to a friend or family member that is involved in your care, or who assists in taking care of you. For example, a parent or guardian may ask that a babysitter take their child to the pediatrician’s office for treatment of a cold. In this example, the babysitter may have access to this child’s medical information. I. notifying your employer under limited circumstances related primarily to workplace injury or illness or medical surveillance. F. In an emergency, to report a crime (including the location or victim(s) of the crime, or the description, identity or location of the perpetrator). adequate plan to destroy the identifiers at the earliest opportunity consistent with the research (unless there is a health or research justification for retaining the identifiers or such retention is otherwise required by law); and (C) adequate written assurances that the PHI will not be re-used or disclosed to any other person or entity (except as required by law) for authorized oversight of the research study, or for other research for which the use or disclosure would otherwise be permitted; (ii) the research could not practicably be conducted without the waiver; and (iii) the research could not practicably be conducted without access to and use of the PHI. 10. National Security. Our practice may disclose your PHI to federal officials for intelligence and national security activities authorized by law. We also may disclose ‘lour PHI to federal officials in order to protect the President, other officials or foreign heads of state, or to conduct investigations. 11. Inmates. Our practice may disclose your PH! to correctional institutions or law enforcement officials if you are an inmate or under the custody of a law enforcement official. Disclosure for these purpose would be necessary: (a) for the institution to provide health care services to you, (b) for the safety and security of the Institution, and/or (c) to protect your health and safety or the health and safety of other individuals. 1. Confidential Communications. You have the right to request that our practice communicate with you about your health and related issues in a particular manner or at a certain location. For instance, you may ask that we contact you at home, rather than work. In order to request a type of confidential communication, you must make a written request to Dr. Paul R. Mahler, at 1144 Wyoming Ave. Forty Fort, Pa.18704 or call (570)283-1610 specifying the requested method of contact, or the location where you wish to be contacted. Our practice will accommodate reasonable requests. You do not need to give a reason for your request. 3. Inspection and Copies. You have the right to inspect and obtain a copy of the PHI that may be used to make decisions about you, including patient medical records and billing records, but not including psychotherapy notes. You must submit your request in writing to Dr. Paul R. Mahler, at 1144 Wyoming Ave. Forty Fort, Pa.18704 or call (570) 283-1610 in order to inspect and/or obtain a copy of your PHI. Our practice may charge a fee for the costs of copying, mailing, labor and supplies associated with your request. Our practice may deny your request to inspect and/or copy in certain limited circumstances; however, you may request a review of our denial. Another licensed health care professional chosen by us will conduct reviews. 4. Amendment. You may ask us to amend your health information if you believe it is incorrect or incomplete, and you may request an amendment for as long as the information is kept by or for our practice. To request an amendment, your request must be made in writing and submitted to Dr. Paul R. Mahler, at 1144 Wyoming Ave. Forty Fort, Pa.18704 or call (570)283-1610. You must provide us with a reason that supports your request for amendment. Our practice will deny your request if you fail to submit your request (and the reason supporting your request) in writing. Also, we may deny your request it you ask us to amend information that is in our opinion: (8) accurate and complete; (b) not part of the PHI kept by or for the practice; (c) not part of the PHI which you would be permitted to inspect and copy; or (d) not created by our practice, unless the individual or entity that created the information is not available to amend the information. 5. Accounting of Disclosures. All of our patients have the right to request an “accounting of disclosures.” An ”accounting of disclosures” is a list of certain non-routine disclosures our practice has made of your PHI for non-treatment, non-payment or non-operations purposes. Use of your PHI as part of the routine patient care in our practice is not required to be documented. For example, the doctor sharing information with the nurse; or the billing department using your information to file your insurance claim. In order to obtain an accounting of disclosures, you must submit your request in writing to Dr. Paul R. Mahler, at 1144 Wyoming Ave. Forty Fort, Pa.18704 or call (570)283-1610. All requests for an “accounting of disclosures” must state a time period, which may not be longer than six (6) years from the date of disclosure and may not include dates before April 14, 2003. The first list you request within a 12-month period is free of charge, but our practice may charge you for additional lists within the same 12-month period. Our practice will notify you of the costs involved with additional requests, and you may withdraw your request before you incur any costs. 6. Right to a Paper Copy of This Notice. You are entitled to receive a paper copy of our notice of privacy practices. You may ask us to give you a copy of this notice at any time. To obtain a paper copy of this notice, contact Dr. Paul R. Mahler, at 1144 Wyoming Ave. Forty Fort, Pa.18704 or call (570)283-1610. 7. Right to File a Complaint. If you believe your privacy rights have been violated, you may file a complaint with our practice or with the Secretary of the Department of Health and Human Services. To file a complaint with our practice, contact Dr. Paul R. Mahler, at 1144 Wyoming Ave. Forty Fort, Pa.18704 or call (570)283-1610. All complaints must be submitted in writing. You will not be penalized for filing a complaint. 8. Right to Provide an Authorization for Other Uses and Disclosures. 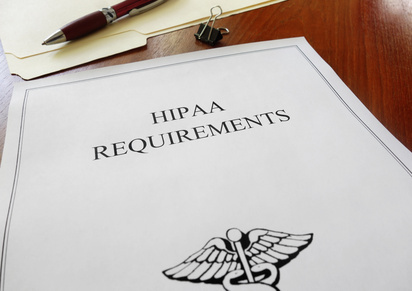 Our practice will obtain your written authorization for uses and disclosures that are not identified by this notice or permitted by applicable law. Any authorization you provide to us regarding the use and disclosure of your PHI may be revoked at any time in writing. After you revoke your authorization, we will no longer use or disclose your PHI for the reasons described in the authorization. Please note we are required to retain records of your care. Again. If you have any questions regarding this notice or our health information privacy policies, please contact Dr. Paul R. Mahler, at 1144 Wyoming Ave. Forty Fort, Pa.18704 or call (570)283-1610. A patient, in coming to the doctor of chiropractic gives the doctor permission and authority to care for the patient in accordance with the chiropractic tests, diagnosis and analysis. The chiropractic adjustment or other clinical procedures are usually beneficial and seldom cause any problem. In rare cases, underlying physical defects, deformities or pathologies may render the patient susceptible to injury. The doctor, of course, will not give a chiropractic adjustment, or health care, if he/she is aware that such care may be contraindicated. Again, it is the responsibility of the patient to make it known or to learn through health care procedures whatever he/she is suffering from: latent pathological defects, illnesses, or deformities which would otherwise not come to the attention of the doctor of chiropractic. The patient should look to the correct specialist for the proper diagnostic and clinical procedures. The doctor of chiropractic provides a specialized, non-duplicating health service. The doctor of chiropractic is licensed in a special practice and is available to work with other types of providers in your health care regime. CHIROPRACTIC: It is important to acknowledge the difference between the health care specialties of chiropractic, osteopathy and medicine. Chiropractic health care seeks to restore health through natural means without the use of medicine or surgery. This gives the body maximum opportunity to utilize its inherent recuperative powers. The success of the chiropractic doctor’s procedures often depends on environment, underlying causes, physical and spinal conditions. It is important to understand what to expect from chiropractic health care services. ANALYSIS: A doctor of chiropractic conducts a clinical analysis for the express purpose of determining whether there is evidence of Vertebral Subluxation Syndrome (VSS) or Vertebral Subluxation Complexes (VSC). When such VSS and VSC complexes are found, chiropractic adjustments and ancillary procedures may be given in an attempt to restore spinal integrity. It is the chiropractic premise that spinal alignment allows nerve transmission throughout the body and gives the body an opportunity to use its inherent recuperative powers. Due to the complexities of nature, no doctor can promise you specific results. This depends upon the inherent recuperative powers of the body. DIAGNOSIS: Although doctors of chiropractic are experts in chiropractic diagnosis, the VSS and VSC, they are not internal medical specialists. Every chiropractic patient should be mindful of his/her own symptoms and should secure other opinions if he/she has any concern as to the nature of his/her total condition. Your doctor of chiropractic may express an opinion as to whether or not you should take this step, but you are responsible for the final decision. RESULTS: The purpose of chiropractic services is to promote natural health through the reduction of the VSS or VSC. Since there are so many variables, it is difficult to predict the time schedule or efficacy of the chiropractic procedures. Sometimes the response is phenomenal. In most cases there is a more gradual, but quite satisfactory response. Occasionally, the results are less than expected. Two or more similar conditions may respond differently to the same chiropractic care. Many medical failures find quick relief through chiropractic. In turn, we must admit that conditions which do not respond to chiropractic care may come under the control or be helped through medical science. The fact is that the science of chiropractic and medicine may never be so exact as to provide definite answers to all problems. Both have made great strides in alleviating pain and controlling disease. We are committed to providing you with the best possible care. If you have insurance, we are anxious to help you receive your maximum allowable benefits. In order to achieve these goals, we need your assistance and your understanding of our payment policy. Payment for services is due at the time services are rendered unless payment arrangements have been approved in advance by our staff. We accept cash, checks, Master Card, Visa, and Discover. All checks should be made out to Wyoming Valley Family Chiropractic Center. We will be happy to process your insurance claim-form for your reimbursement. Any such request must be accompanied by a completed insurance form at each visit. In special instances, we accept assignment of insurance benefits. If we accept assignment of benefits all co-payments and deductibles are due at the time for service. If it turns out there is an unforeseen deductible you will be billed later. 2. Our fees are generally considered to fall within acceptable range by most companies, and therefore are covered up to the maximum allowance determined by each carrier. This applies only to companies that pay a percentage (such as 50%, 80% etc.) of UCR (usual, customary, and reasonable).This Statement does not apply to companies that reimburse based on an arbitrary “schedule” of fees, which bears no relationship to current standard and cost of care in this area. 3. Not all services are a covered benefit in all contracts. Some insurance companies arbitrarily select certain services they will not cover. We must emphasize that, as chiropractic providers, our relationship is with you, not your insurance companies. While the filing of insurance claims is a courtesy that we extend to our patients, all charges are your responsibility from the date the service was rendered. We realize that temporary financial problems may affect timely payment of your account. If such problems do arise, we encourage you to contact us promptly for assistance in management of your account.